THE BLOG: Featured on Photobrigade! 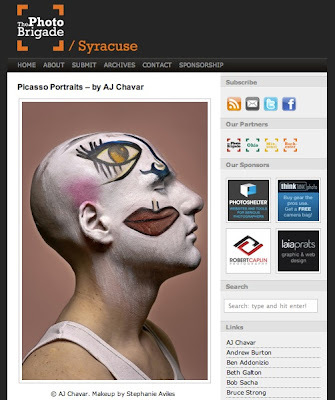 As you can see above, thephotobrigade.com/syracuse featured my work today, less than 12 hours after I finished the shoot, madness! Once again big thanks go out to Steph for makeup (link), and to the models: Ben, Clay, Chelsea, Patty, Liz and Kelly.